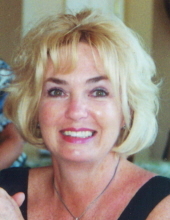 Vicki Rae McLeod, 68, of Paducah, Kentucky, passed away at 12:31 p.m. on Friday, November 23, 2018 at Superior Care Home. Mrs. McLeod was a native of Wickliffe, Kentucky and a graduate of Ballard Co. High School. She attended the University of South Carolina and finnished her 30 above Masters Degree in Special Education from Murray State University. She began her teaching career in Special Education in Jacksonville, Illinois and then returned to Paducah to teach Special Education at Reidland High School. Vicki was a cheerleading coach that won many state championships and led the Gifted and Talented Program at Reidland High School. She retired as the Special Education Administrator after 27 years with McCracken County School System. Vicki was of the Methodist faith and at one time a board member of the Merryman House. She loved to play tennis in her younger years and then transitioned to golf. She loved to watch sports on TV especially UK basketball, and enjoyed watching her grandchildren grow up and play sports. She battled with Lupus for several years. Vicki is survived by her husband of 30 years George Gayle McLeod; a daughter, Jessica Ainsley Burnett of Sacramento, California; two sons, David Michael McLeod of Paducah and Jeffrey Don McLeod and wife Shannon of Greensburg, Indiana; four grandchildren, Molly, Mason, Zach and Luke McLeod; a sister, Jo Krin Pendergraft of Paducah; a nephew, Jay Pendergraft of Paducah. She was preceded in death by her parents Noel Ray and Frances Inez Williams Maxberry. A memorial visitation will be held from 5:00 p.m. until 8:00 p.m. on Monday, November 26, 2018 at Milner & Orr Funeral Home of Paducah. A private family burial will be held at Woodlawn Memorial Gardens at a later date. Expressions of sympathy may take the form of contributions to Lupus Foundation of KY, 1939 Goldsmith, Suite 104 Louisville, KY 40218 or Merryman Domestic House Crisis Center, P.O. Box 98 Paducah, KY 42002-0098.